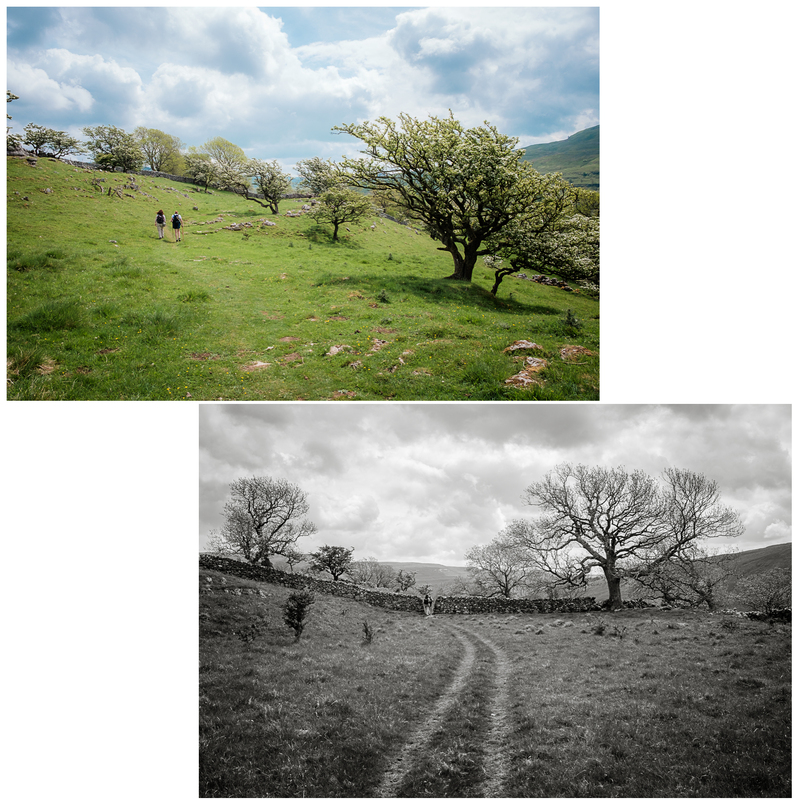 We spent a couple of great days with M&K hiking in the Yorkshire Dales. 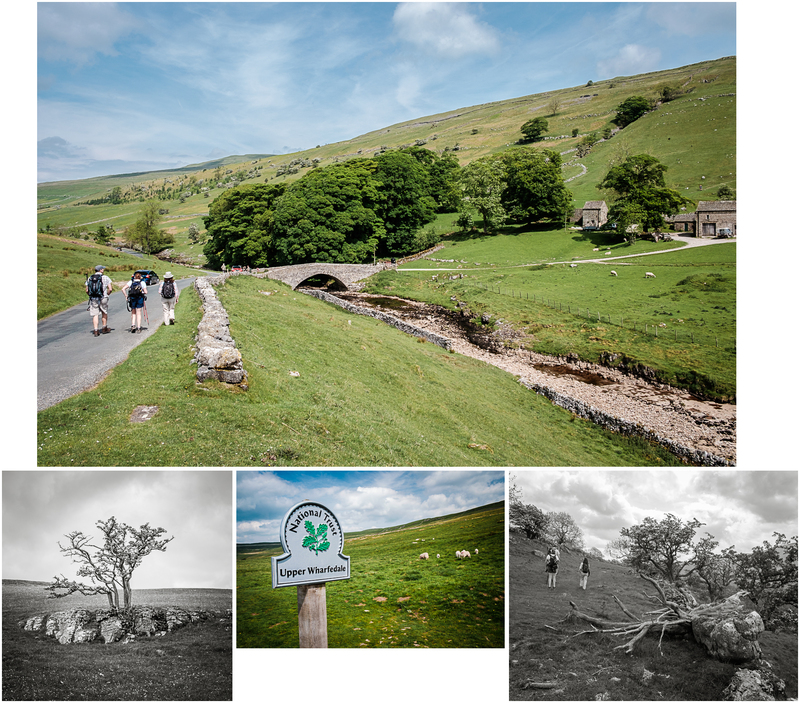 The first day we stayed quite local to the Landmark house we were staying in, and took in a circular walk from Yockenthwaite to Buckden, coming back along the River Wharfe. The ViewRanger track of this (almost) 8 mile walk is at this link. The walk started with a climb uphill, a prerequisite to earn your sandwich, tea and cake. This was our first adventure into the Yorkshire Dales. On this hike we would see sculpture, lunch by a waterfall, follow rivers, walk past barns in fields and, of course, be studied by sheep. The GPS track of our (almost) 6.5 mile walk can be found on my ViewRanger account. We were meeting up with Mike and Karen just south of Outhgill to start our walk along a section of Lady Anne’s Way, following the Penine Bridleway. We start on a gentle incline. The weather was wet – not because it was raining, no – I insisted, it’s just that the clouds happened to be laying quite low on this day. At the top we reach the Water Cut sculpture, by Mary Bourne, one of the 10 Eden Benchmarks located along the length of the River Eden. Mike and I try to take pictures while keeping our camera equipment dry.